And here we are, at the letter “Z” word of the week. Since I began on the first week of January with adulterine, this means that we’re exactly halfway done with 2009 and just one more “A”-through-“Z” run before we’re done with this year altogether. zugzwang (ZAG-zwang or ZUG-zwang) — noun: a situation in chess in which every move available to the player is disadvantageous. Perhaps of all the obscure words I’ve posted on this blog so far, this is the one I’d like to see shed its status as jargon and become a more widely recognized term. And not only because it’s fun to say. Zugzwang also happens to name a situation nearly all of us are familiar with — and in a way, no less, that sounds a little more eloquent than the next-closest expression I could think of, the state of being colossally fucked. Literally translated from German, zugzwang means “compulsion to move,” which stems from the fact that, as Wikipedia notes, chess players in this situation would probably rather pass on their turn. They can’t however, as the rules of the game don’t allow players to do so. Like many wonderful German words, zugzwang defies a succinct English translation. 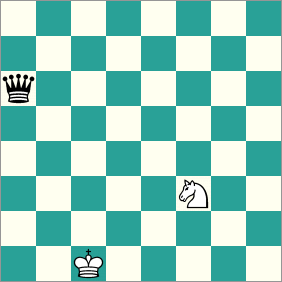 As a chess term, however, it can be translated as movebound, or so says Ulrich, keeper of the German-centric KrautBlog.